AG will move into a new airconditioned/climate controlled workshop with offices, showroom, workshop and includes separate fully equipped catering facilities. It will be right between the Berlin Messe and Tempelhof. I am proud to inform you that Airstream Gourmet GmbH will be represented in Russia by our new "Offical Agent" Denis Korablev. 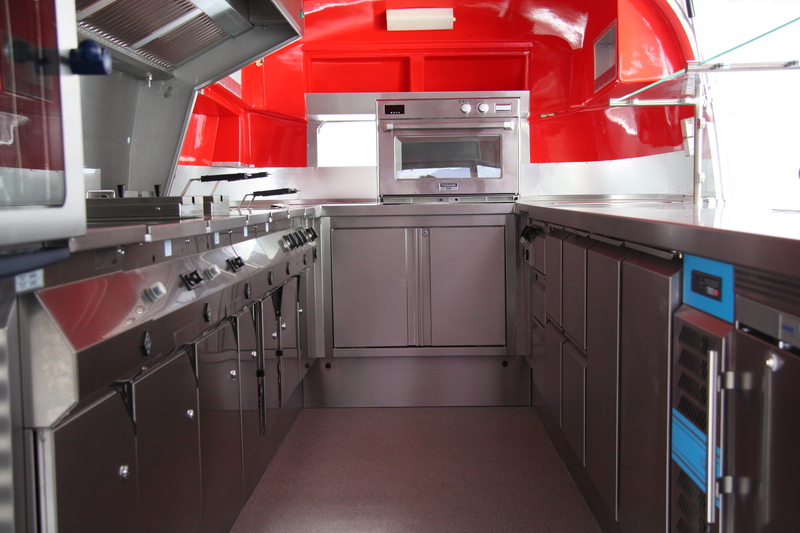 We welcome Denis in our Airstream Gourmet family. All communications for Russia will be handled by Denis. Airstreams are available for Fashion shows, events and exhibitions. We have started a campaign for the new brand "Bilytis" that will be introduced in March this year. Under the "Home" button, we have two new sub-buttons on this website. References and Clients. References are related to Carina Habets, author of the book "TWEESTRIJD", and Rebecca Both, Actress and Fine Arts artist in California USA.